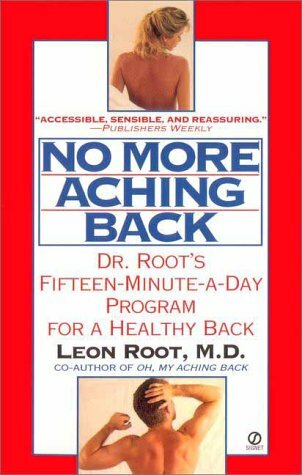 No More Aching Back: Dr. Root's New Fifteen-Minute-A-Day Program for a Healthy Back (Signet)@7603 Rs [Mrp:-7603] - Onlinedeals.discount - A leading product discovery website. Find the true prices of products, read reviews and buy top brand products at reasonable prices. These state-of-the-art strategies from the co-author of the bestseller Oh, My Aching Back are designed to heal, strengthen and protect your back from stress and injury. Dr. Root’s clinically proven program includes • a 15-minute daily exercise routine • self-administered first aid • what to ask and what to expect from your doctor • short- and long-term solutions for pain, etc.